Have we got a treat for you: if you book your tickets to Confetti Live! 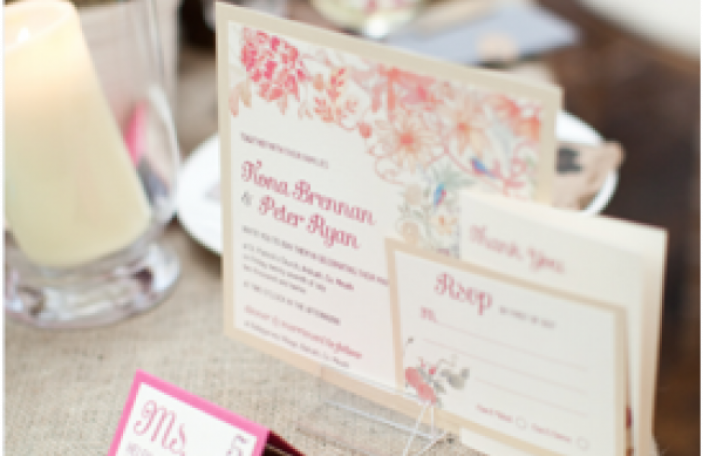 Punchestown, taking place at Punchestown Racecourse on the weekend of 11-12 May 2013, then not only do we have a fabulous half price discount offer on the go for early birds, but we'll also enter you into an incredible prize draw too. Yup, one lucky, lucky lady (or gent!) 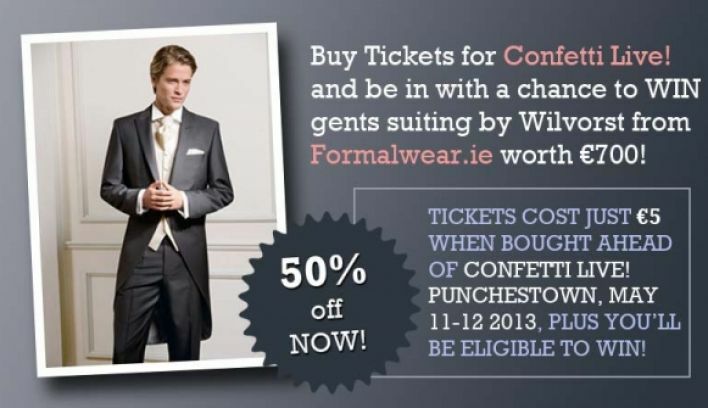 who buys tickets ahead of the show using our online booking system will be picked at random and will bag themselves a prize of Wilvorst suiting from Formalwear.ie. 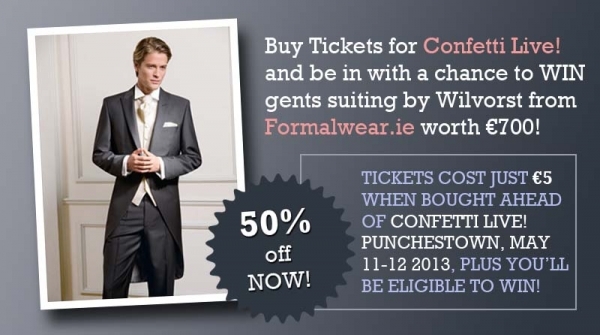 The prize will involve hire of top off the range wedding suits for five people and is valued at €700. We reckon that's definitely not to be sniffed at, and all you've got to do is make sure you pre-book your tickets now. COMPETITION IS NOW CLOSED. Head to our dedicated Confetti Live! website and book now - tickets are just €5 each, which is a whopping 50% off the price on the door! Competition closes on Friday 26th April 2013 and winner will be notified by email.